We’ve got a bit of an impromptu blog hop going on. Her inspiration was “Shadows of Youth,” a post by Yobial Marin, a blogger Christine follows. Yobial reminds us that those with the experience of years have much to teach us, if we can overcome our own fear of mortality long enough to pay attention. 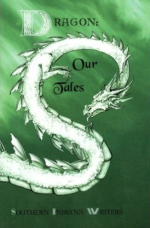 Christine’s poem inspired me to post this poem, which originally appeared in the Southern Indiana Writers Group’s anthology DRAGON: OUR TALES. The next move, dear reader, is yours. This entry was posted in Friday Recommends. Tagged age. Love this poem, Marian. Just love it. You are right, looks like we do have a wee impromptu blog hop going on. I like it. Hope it hops it’s way round farther. I hope so, too, Christine. I had someone on Facebook the other day talking about things she hopes to do after she turns sixty, and I was thinking, “Yeah! After I turn sixty, I want to do those things, too!” Then I thought, “Oh. Wait. I’m MORE than sixty!” lol! Marian, what a brilliant poem! Thank you for sharing it!!! You’re very kind to say so, Monti! If you do a post on the subject, don’t forget to post your link here! I know! @Marian Allen – I doubt if I’d recognise any of them now. Not if the way I’ve changed is anything to go by anyway! I’ve written about age in a couple of contexts, but not even close to recent. One piece about me turning 50, and another being a tribute to my adopted Granma.